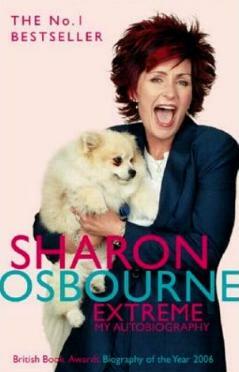 Feisty, forthright, and fabulous is how I'd describe Sharon Osbourne. From pretty meagre beginnings she very quickly rose to prominence in her father's music and artist management company. In her mid-teens she was covering for her father who had a temper and conducted his business on the shady side. Raised in Brixton, London, they moved around a lot and finally found themselves living in Wimbledon. Her mother wasn't what you'd call a hands-on mother, and her father, by all accounts, was a control freak. In her late teens Sharon was going to shows of the people her dad handled and became friends with many of the big names at the time. In this candid and explicit story of her life, we follow her to Los Angeles as a young woman in her early twenties, buying a property in Beverly Hills where she lived, entertaining and hobnobbing with the music fraternity, and becoming quite a force to be reckoned with. It was around this time she managed Ozzy Osbourne (he'd left Black Sabbath) and she lets us into her heart, her good and bad behavior, her up and down weight, her family, and her business savvy. She also comes clean about "the bat" incident that's been doing the rounds for years. Sharon was no angel and had her fair share of drunken nights, destroying things, and lots of other alcohol-induced behavior. There is however, a softer side to Mrs. Osbourne, and life with Ozzy was not easy. Her children are her passion and delight and come first in her life. Sharon also talks about her plastic surgery (which to me, is probably the best results I've ever seen), Ozzy's drinking and drugging, his cheating, and their successes and failures as well as The Osbournes television show, which amazed even them. And of course, her bout with colon cancer. It's truly an eye-opening and amazing story of how one copes through adversity, gets over obstacles, and comes through to the other side still kicking, perhaps a little bruised and scarred, but she made it. I saw Sharon on British TV on Simon Cowell's "X-Factor" - she was a judge and always had something positive and encouraging to say, and, looked gorgeous. I also loved reading about how she bought and renovated homes. Read my review of Ozzy's book (published 2010), I Am Ozzy. Conclusion - I loved the book as it allowed me to see where Sharon Osbourne came from, what she achieved, and how she's what we see she is today - a successful, elegant, and positive woman. I read and reviewed the British paperback version. The American edition has a different cover.